You can change your life in just seven minutes a day . . .
A soft message for a hard time, The Promise is a simple yet profound solution to the cause of all human discontent: the lack of intimacy, especially sexual intimacy. Even amidst the plethora of techniques now available for so-called enlightenment—from meditation and visualization to intensive prayer retreats or obsessive exercise regimens— the need for intimacy has been left unsatisfied. Requiring just seven minutes a day, the practice taught in this book—called “Your Seven-Minute Wonder”—answers that need by opening the body and psyche to gratifying levels of personal and sexual intimacy. It is the practical means that allows you to tangibly realize your ideals and inherent perfection. 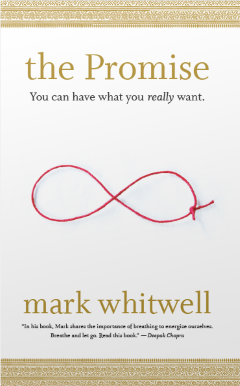 Renowned teacher Mark Whitwell, who has spent a lifetime studying the secrets of life with the great masters, has seen through to the heart of their understanding, and created a simple way for readers to acquire it for themselves.